A quick poll conducted by IE Consulting last month, however, suggests that times will remain tough for those PE houses out scavenging for LP commitments. Of course, the very best funds will come out and raise money. By the way, “very best funds” does not mean “top quartile” (anyone ever marketed a fund that wasn’t top quartile?). “Very best funds” means just that: those private equity and venture capital funds that have consistently delivered performance that outpaces its peers and other funds in other asset classes. It’s simply no longer enough to be delivering better returns than other European buyout funds or other US venture funds. Limited Partners are taking a hard look at the dollars they are investing in private equity and VC funds and how the returns stack up against their other investment strategies: Commentators should not be surprised to see even committed investors into the asset class “taking stock” for a good while longer than even the most pessimistic might have expected. So what does this mean for those in the market now, trying to raise a fund? Be flexible. Respect the fact that the balance of power now rests with your LPs: They have alternatives. Show how you are different. A longer fundraising timetable means more “competing” funds on the road at the same time. 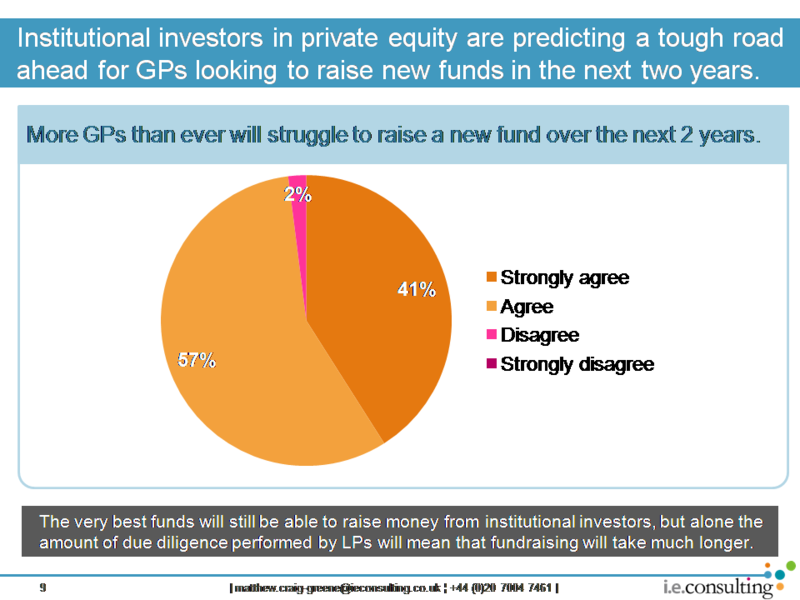 Why should LPs invest in your fund? Don’t forget to make the case for private equity: Is your strategy preferable to investing in the public market? How?